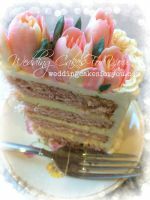 All of the decorated cakes on this page are shared with you by visitors to "Wedding Cakes For You" Enjoy their stories, ideas, baking tips and cake decorating techniques! 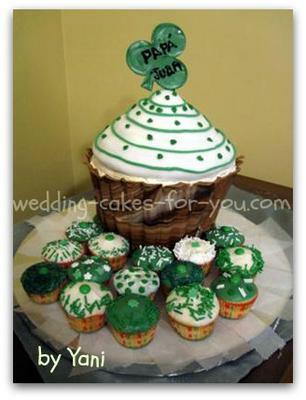 Comment and rate if you like and add your beautiful cakes to the ever growing collection. 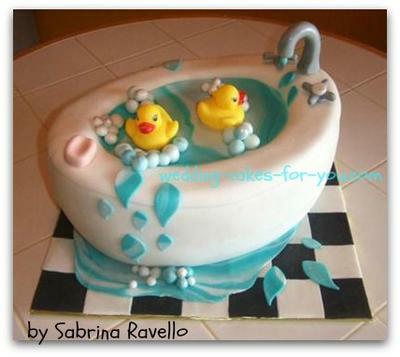 This bathtub cake was designed for a baby shower with a rubber ducky theme. Inspiration For The Bathtub Cake! When I was asked to make this rubber ducky cake, my thoughts brought me back to bath time when my children were toddlers. With that in mind, I was inspired to make a bathtub cake that was overflowing with bubble bath water and ducks creating a watery mess on the bathroom tile. 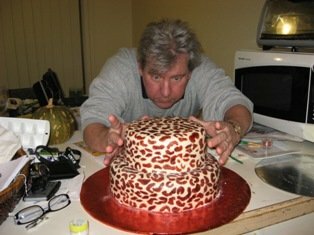 I used a ten inch, two inch deep oval pan to make this three tier golden vanilla cake, iced in butter cream and covered in rolled fondant. To get the two tone water effect. 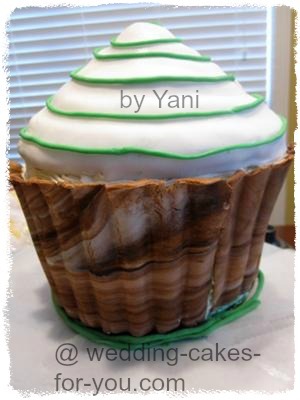 I used aqua blue fondant and white fondant rolled together but not thoroughly mixed together to create a marble look. Water and bubbles were then dusted with white and blue luster dust. The ducks, tiles and accessories were all made from rolled fondant. The duck's eyes and beak were painted on with icing color tint. The pipe and faucet were dusted with silver luster dust. The tiles were made using a square cookie cutter. This cake was made to serve 30. Your bathtub cake looks AMAZING!!!! It's so cute. Your bathtub cake is beautiful! Thanks for the detailed step by step tips. You have inspired me to think outside the box for my next cake. Keep up the good work. This has to be one of the most creative cakes I have seen in a while... Thanks for sharing! I love your bathtub cake!!! It's amazing. Thanks for posting it. My jungle cake has two different layers. The first is chocolate cake and the second is white lemon cake. I found the recipes on this web site and wow it was delicious!!! 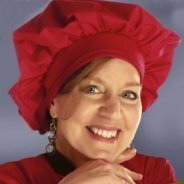 A BIG thank you to this website for great recipes! 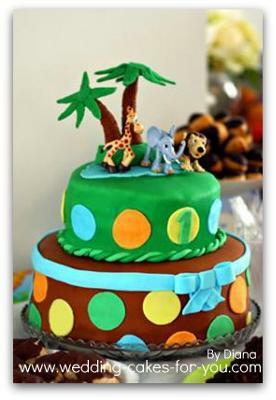 Thanks Diana for a great jungle cake. I can't believe it's your first one. Wow That is impressive. Thanks for the nice comments and I'm happy that the recipes turned out good for you. Here is the link to the chocolate cake and the lemon recipes. 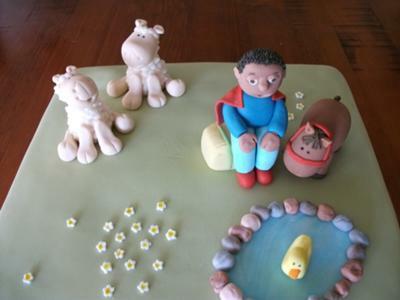 This Kai Lan cartoon cake was small but a big project for me. I wanted the doll to look exactly like Kai-Lan and also wanted to use rice crispy cereal to sculpt her. This was my first time using the cereal to sculpt and it was a little tricky at first and a bit harder to get the shape I wanted. All the other decorations are made from fondant. The flowers I made a few days in advance and laid out to dry. Overall, I think it went well for a beginner. The cake was for the granddaughter of a co-worker friend. She is a loyal fan of this cartoon on the nickelodeon channel and she loves cake. 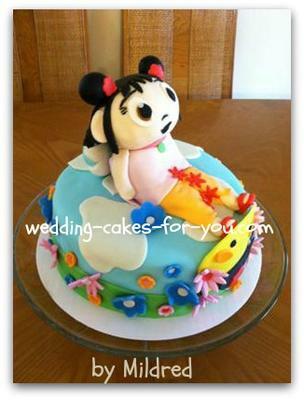 Thank you Mildred for this beautiful Kai Lan Cartoon Cake creation. Your cake decorating skills are getting better every day. This is amazing, so perfect. WOW now that's what I call a really cool cake! Took your advice and used only the fondant without buttercream. David That is awesome. I love this cake. I posted it on my facebook page too. Very cool. So you did not use the buttercream icing underneath? Well it looks amazing. 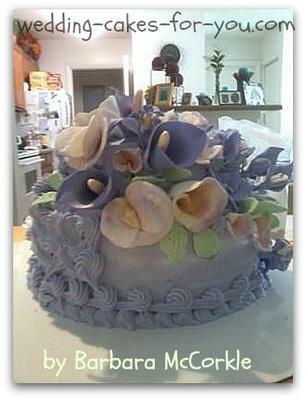 Link to David's Question about fondant and buttercream Thank you David for sharing your daughters 21st birthday cake. Your cake looks amazing! I love the painted free form pattern. 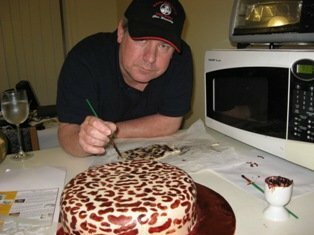 How did you accomplish putting the fondant over cake without buttercream? What kind of cake is this? 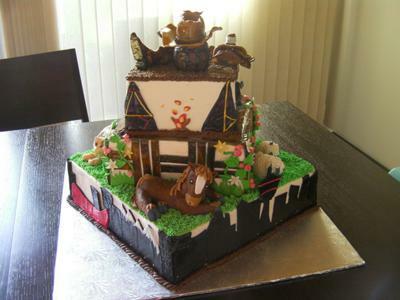 Please provide some more info on how you did this beautiful and artistic cake. The trick is to make your own Fondant. The store bought is too thin. 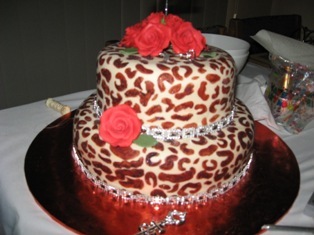 To create the "leopard print" pattern I used a stencil and three powdered food dye colours plus adding a small amount of brown when kneading and rolling the home made fondant. (Icing sugar, gelatin and water.) Try to roll the fondant out to just under a 1/4 inch thick. The cakes are 2 double chocolate mud cakes using a LOT of chocolate. It helps to freeze prior to icing. 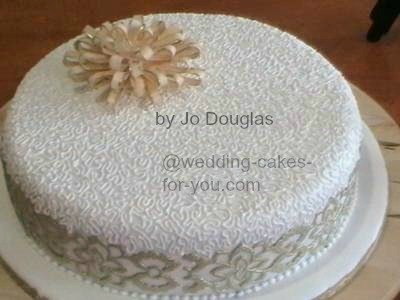 Use a spatula and dry icing sugar to carefully smooth the fondant over both cakes bringing the joins together, then use any stencil to create your own patterns. Take your time and never rush as you need a steady hand! Thank you for all your tips. I already make my own fondant and yes, it is better to work with the home made one and tastier too. I will try this method on my next cake. Beautiful cake David, you have created a masterpiece. I wish I was that talented. When first starting out I happened to have some old Wilton Way of Cake Decorating Magazines that a friends mom gave me. I learned a lot from these magazines and would scan the pictures to find ideas. I also took Wilton Cake Decorating classes. For my son's 4th birthday I decided to use the lion design, that I believe is still in the books today. I love this lion. It wasn't so difficult to make, but naturally was time consuming with all of the colors and piping. I used a star tip to fill in the outlines and to make the lions mane. He loved it and we all devoured it. That was 23 years ago now. My little Johnny is now a grown man, but he still loves his cake! A Giant Cupcake For My Father. My father's birthday is on March 8th, even thought he is far away from me something inspired me to bake him a cake and to keep with the colors of the month because of St. Patrick's Day. Thanks Skype...we showed my dad and my mom the cake later on through Skype, the kids each of them played a tune for their grandpa on the piano and dance too and we finished it off with all of us singing happy birthday and blowing the birthday candles for him. My dad was pretty choked up and touch at our love for him. It was a sad in a way but more than anything a VERY happy moment for me!! You can find Shaped Pans at Candyland Crafts. They have a Wilton Giant Cupcake Pan. supplies page on this site. When I finally called her, she was relieved & happy that I obliged by accepting to make the cake. In a way it was good for me to take this opportunity to practice & see what new things I would learn on this journey. Baby & mother were very pleased with the cake. It sure is exciting to see people's happy expressions when they are presented with their cake. Usually its more than what they were expecting. 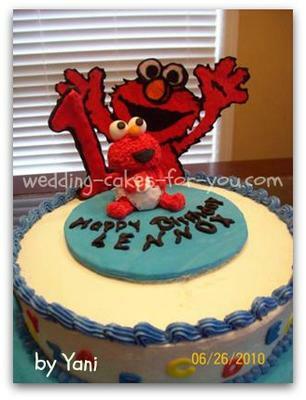 Thank you Yani for the baby Elmo birthday cake. Soooo cute.You did a marvelous job on it and in such short notice! 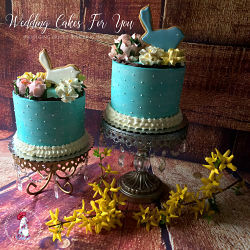 If anyone wants to see more cakes by Yani here are two wedding cakes that she submitted to the cake decorating contest on this website. 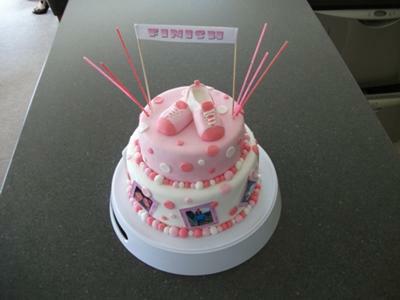 Her first cake entry with pink fondant bows. Her second cake entry was a cake for her sister-in-law with chocolate dipped bride and groom strawberries. This is my second attempt at sculpting a cake. 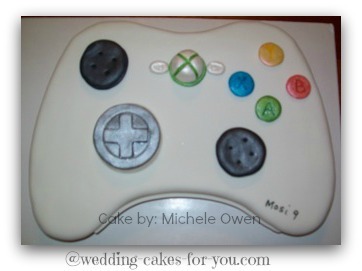 My client ordered an x box video controller cake for her son's birthday. I made a template, pinned it to a half sheet cake and cut it out. I covered the (white cake) in fondant and placed the gadgets on the the cake with piping gel. During the process my niece asked me if i knew what a video controller was and I said "now I do!" Thank goodness for the internet! A friend wanted a cake for his fiancée's call to bar and he wanted something unique and uncommon, and I assured him of giving it my best. That prompted me to making this unique cake. it's a 2 tier cake with a barrister"s wig which I made using gum-paste and royal icing with tip 99, the scale and the hammer was also made from gum-paste. it wasn't easy, but I enjoyed the process. Learning as I go, 18th Birthday Cake. I hardly ever get asked to make a cake and when I do they almost always let me do my own design. I have no idea why this happens to me. “Surprise us, you never let us down” Sometimes it is not easy to come up with ideas but it can be a lot of fun. 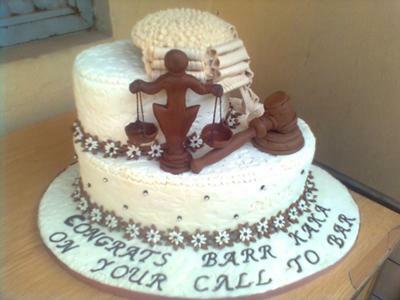 This was one of my first cakes and even back then I was trusted to do my thing. You think you know a family member but you really don’t. I ask them for colour they prefer and if you dig a little you find out all sorts of interesting stuff about someone you thought you knew well. To my surprise my niece was training for a marathon which got the ideas started and as it was an 18th we added photographs of important times in her life and put those around the bottom layer. This was a chocolate cake (not from this site) on all layers. 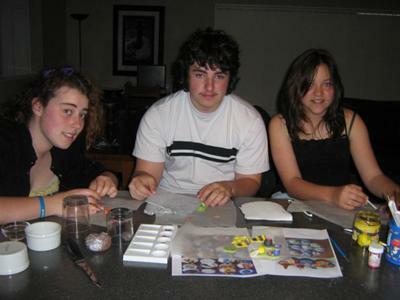 I was still learning the ropes at the time so my frosting and fondant was from the local supermarket. I filled the cake with a thick chunky cherry jam that I had in the fridge. I make everything myself now, but if you really want to decorate and have lots of fun, you can get everything you need from the shops. 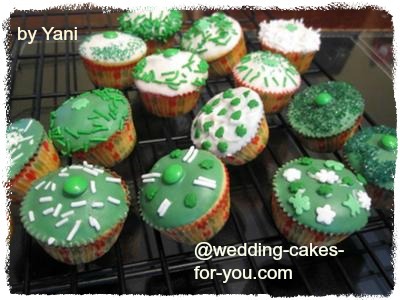 I feel that if you are new to all this and you don’t make cakes often then the key is buy everything and just have fun. You could even grab a sheet cake ready made if you feel you can’t bake. 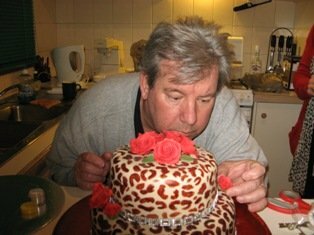 I didn’t know much about fondant at the time when I made this cake. The shoes took me forever and I didn’t cover them with plastic wrap when it was not being used. It kept cracking! It dried too quickly and I had no idea that modeling fondant was different than normal fondant. I didn’t know that you could get gel colours and I used the supermarket runny stuff. Oh my – I am not sure that I did anything right. Everyone loved the design and the chocolate cake I had made. I had no tools and used bits and bobs we all have in the kitchen. Like a toothpick for the stitching of the shoe – yes, if you are wondering, it took forever! Having read all my mistakes and cheats, I think it just shows that everyone can give cake decorating a go and enjoy the fuss that is made when you walk into the party with your creation. 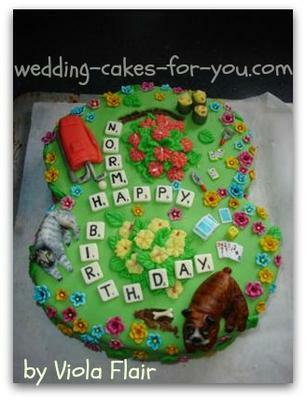 Awesome , Thanks Kim, Great cake design and thank you for your tips, advice and inspiration. I love the fact that you just winged it like that. One thanksgiving I decided to make my daughter Christal a special cake and cover it with fondant. Never had a class, never did this before...just thought I would try it for something special. The cake turned out ok, we both had a chuckle about the big bubble on the side. 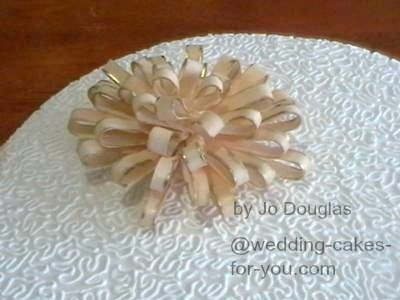 As a birthday gift my daughter gifted me a two night gum paste flower class. The rest is divine intervention. No formal training (yet)just passion, prayer and the faith and encouragement of my greatest fan...my daughter. Barbara What a gorgeous cake and the gum paste flowers are beautiful. Your cake colors match my website so well too LOL. I think you have something special, and I am so glad that you are learning here as well. Looking forward to seeing more of your cakes and reading all about them too. Happy Baking and Cake Decorating! Did you ever find that a quick chat with the kids means you have agreed to something you don't remember agreeing to!!! This happened to me this week. I have 8 kids in my lounge watching 7 Harry Potter films, over two days. I was asked to make cupcakes (because I am obviously full of tricks and my middle name is sucker). No thought taken to the fact that I will be too busy, shopping, pulling mattresses into the lounge, and cooking all the food for the little angels and wearing my taxi for hire hat too - I SAID NO!!!! The result being a very nice evening spent watching my kids plus one boyfriend make all the little toppers. The cupcakes (over filled but very yummy) were made on the day and I relented and made the frosting. A raspberry topping - sounds very good but if you want the recipe, just add a large blob of jam to normal frosting. I love the result and I am so glad I didn't make them. They had lots of fun and learned a bit about fondant too. Also, how to make paint out of food colour and a bit of vodka. Oh happy days and sweet memories. Thank you Kimmy! 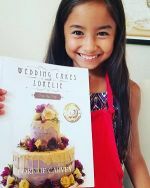 What a great idea that the kids came up with for you :-) It sounds like fun too watching them all make the fondant decorations. Maybe you should consider "Cake Decorating Parties for a living?" 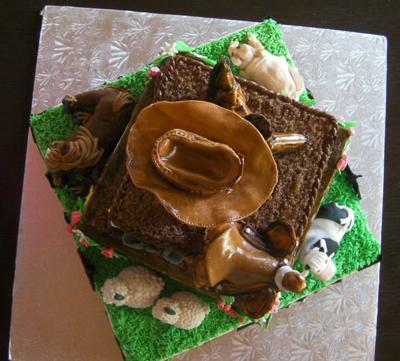 This western cake was made for Calgary Stampede. 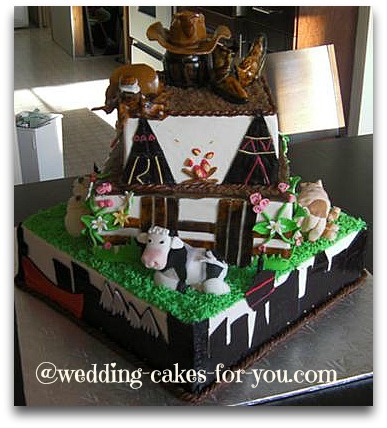 Hi, Thanks for sharing this really cool western cake. It is very detailed and well done. I made this Strawberry Shortcake themed birthday cake for my two year old niece. It is my first fondant covered cake. Not as hard as I thought it would be. Every thing involving the cake is homemade right down to the MM Marshmallow Fondant , with the exception of the gum paste figurine on top (Wilton pre-made gum paste). I took me about 5 hours to get it together. Deanna, you're a super star!!!!! Love the cake girl!!! I'm still gonna try one. I was asked by a really good friend to make a butterfly birthday cake for her daughter's 1st birthday and so I agreed. After doing lots of research I make my first cake. Thanks to this Website. You helped out lots. 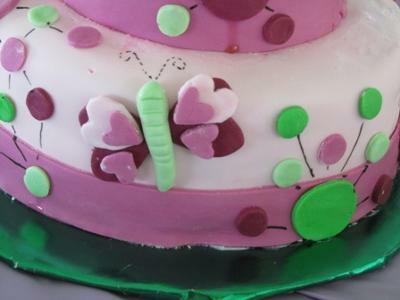 What a lucky little girl to get such a beautiful butterfly birthday cake on her first birthday. I love the colors and the design. 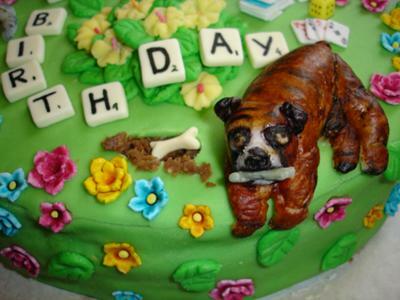 It is very brave of you to do a fondant cake for a first cake. 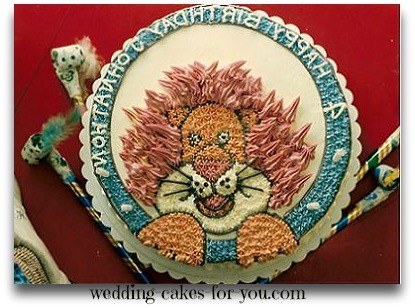 I'm glad that Wedding Cakes For You has helped you with your cake decorating. That makes me very happy. I hope you come back and visit often. I like your Butterfly cake! This cake was for a family member Norma - my mother and me decided to make the number 8 Norma's interests in life like gardening, scrabble & card games....and the Number 0 showed her family (her boys as kids) and her love for dancing and music was interpreted via the piano keys and the LP record.. There are a few toys around even a New Zealand Buzzy Bee! Also the boy reading a book - it has real readable text in it written an old style calligraphy pen and edible ink! I will try put a few more cakes on soon. Your cakes are exquisite. Such detail. It boggles my mind. You should enter some of your work in my contest. The birthday girl with her Foofa cake! I made this Yo Gabba Gabba cake for my nieces daughters 2nd birthday. She LOVES Foofa. So I featured the bubble headed flower child on top of the two tiered confection. 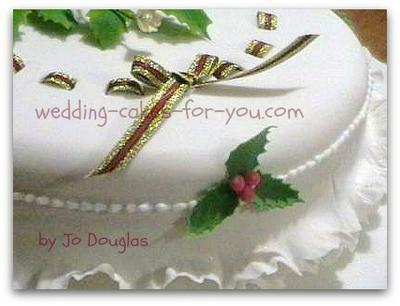 The cake itself was the homemade white wedding cake recipe from this website. The luscious lemon curd recipe also from this site, and the easy buttercream frosting. 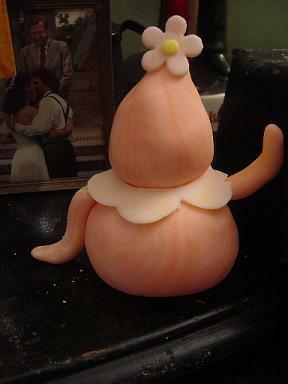 The fondant Foofa was basically two balls of fondant with the top piece shaped sort of like a pear. 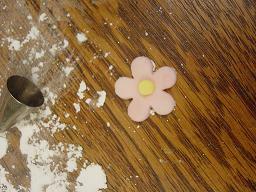 The collar and the flowers were cut from fondant cutters and easy to do. The face was kind of a challenge as the coloring ran a little. But overall it was pretty good. The birthday girl LOVED it! That is all that mattered. In fact her mom and dad kept the Foofa as a keepsake so Payton can say hello to her every morning! 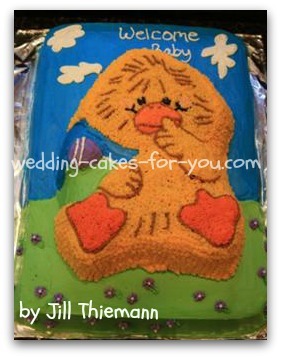 The Yo Gabba Gabba cake tasted wonderful and was so moist and delicious.The guests raved about it. 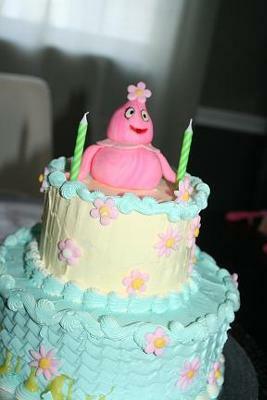 I am planning on making a Muno Yo Gabba Gabba cake for my Grandson. Wish me luck! WE LOVED OUR FOOFA CAKE! IT WAS SOOO CUTE AND ABSOLUTELY DELICIOUS AS WELL. THANK YOU LORELIE!! 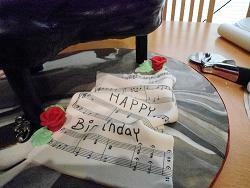 I made a piano cake, two layers with lemon curd and buttercream under my fondant. I had a little bit of trouble with bulging fondant, as I think I added too much butterceream to the dam in between the layers. I made this farm cake with Lorelie's Chocolate cake recipe and as promised, it was moist and yummy. Everyone made a comment about the taste. After reading this site I did things a little different this time. I baked the cake layers over two days and topped them in the freezer a week before I needed them. I made my animals over the week and popped them in a shoe box, ready for the day that I put everything together. I have a big issue with NZ Veg shortening. Just horrible! It's like wax. Small amounts have taken a lot of work but with the amount I needed it was NO fun at all. I am happy to say the effort was worth it and the filling and coating went well. The party was a lot of fun and Boni, the Birthday boy, loved his cake. You can't see in the photo, but he had a little Spiderman cape on. His fave outfit. I painted the spider design with vodka and food colour gel as I did for the sign. New for me but it dryed very quickly and acted like normal paint would. 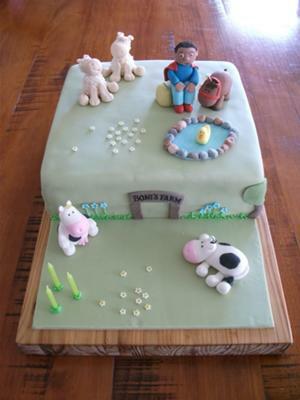 Hi Kimmy, Thank you so much for sharing this amazing farm cake. Its really well done. The figures are so cute. I can see the little cape on the boy in the farm scene. Excellent work. 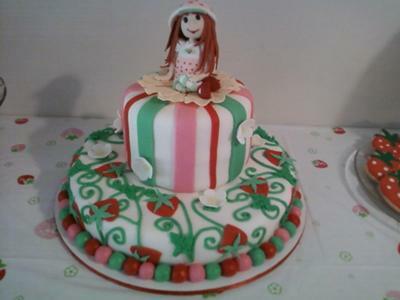 My daughter wanted a Strawberry Shortcake birthday cake for her 3rd Birthday, so I searched extensively until I found the cake that would "wow" her and all the party guests too. 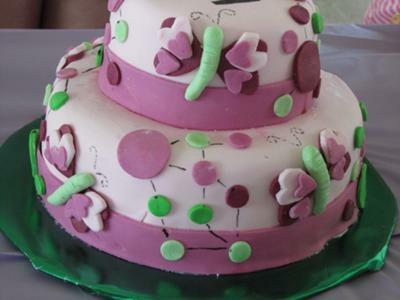 It was found in the The 2005 Wilton Yearbook: Cake Decorating - Fun with fondant. This was my first attempt with both fondant and tiered cakes...I must admit I was a little nervous! After following the directions it turned out beautiful and the birthday girl was pretty impressed. The Strawberry shortcake candle sits on top as the finishing touch. The whole cake is assembled and iced in buttercream. Fondant covers the tops made to look like dripping snow. The cut outs are all fondant, and the scroll pattern on the bottom layer was done by hand with icing and a decorating bag. 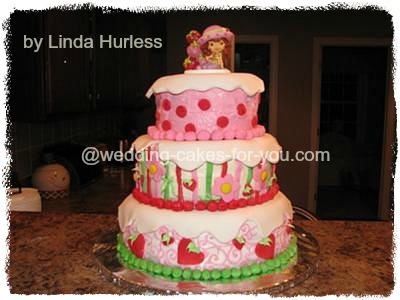 Hi Linda, Your Strawberry Shortcake Birthday cake is soooo cute! Your daughter must have been thrilled beyond belief. Thank you for joining in The Cake Decorating Contest. Please tell all of your friends and family to come and take a peak, to rate, comment or browse the site for recipes and ideas. I would say you should consider a business plan. 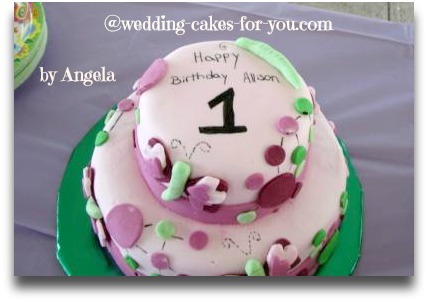 Check out my cake decorating business page for ideas or to ask questions. We attended Meghan's party and oh was her cake as tasty as it was beautiful! 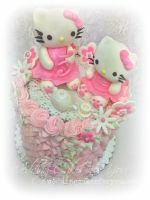 :) Linda has been baking cakes for both of her daughters' birthdays and each cake is a wonderful creation and adds so much to the birthday celebration! 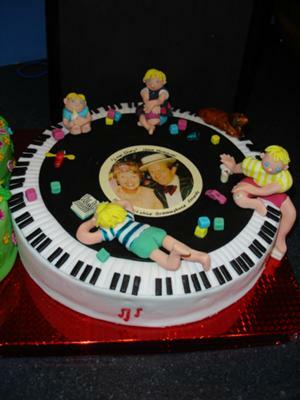 I must say though that I think Linda surpassed previous cakes with this one. The fondant was molded nicely and it really had that "professional" look to it! 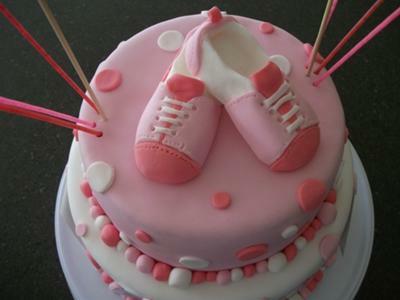 This cake is adorable! Linda is a natural at baking and decorating!!! 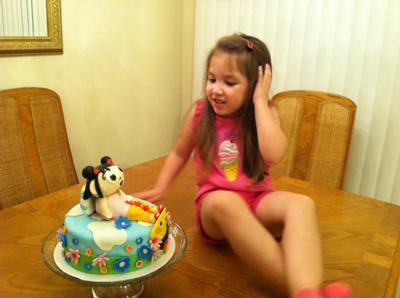 No one would ever know that this was her first time using fondant or making a tiered cake. 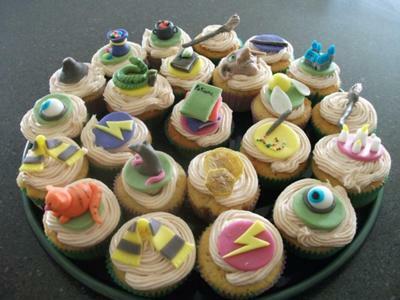 I've paid a lot of money for cakes that didn't look nearly as good as this. Well Done!!! This is an amazing first try with fondant. One layer would have been hard enough, but she did three. Makes my mouth water just looking at it. Linda has an amazing gift and I am so proud of her. Her ability to bake and construct these beautiful cakes comes as no surprise as she pretty much excels at just about "everything" she attempts =) I have seen several of her cakes and each one is better than the one before as her talents keep growing and expanding. I am one of the "others" mentioned that would love to see her start her own business...too few people actually like what they do for a living and I think that Linda would have the best of both worlds because she has mad skills, loves baking, and there is no doubt in my mind that she would be very successful =) GOOD LUCK LINDA!!! Tammi That is a really great commentary! Thanks to everyone for taking the time to visit, rate and comment! Your cake is so pretty! I am thinking about getting one made for my daughter 4th birthday party. What are the 3 sizes of the cakes? Do you bake/decorate cakes for others? We will be in Chillicothe visiting family for Thanksgiving and our celebrating our daughter's 5th birthday - and she's asked for a Strawberry Shortcake birthday cake. I just stumbled upon this through google! 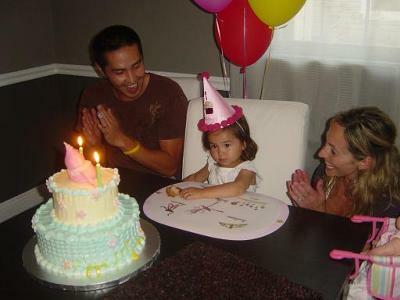 That cake is adorable!!! As I have a YouTube Channel devoted to Cake Decorating (www.youtube.com/OzzieCakeDecorating) with an Australian accent, at Christmas I produced two different forms of Christmas Cake - one was very plain and yet very elegant with a handmade gift bow and cornelli; and the other was a festive Christmasy-looking creation showing garret frill; ribbon insertion and Christmas blossoms. 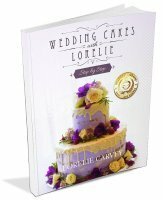 These techniques can only be used with fondant-covered cakes and are regularly used for wedding cakes to add more pizazz or elegance. I found this Welcome Witzy cake design on the Wilton website. I made it for my sister-in-law's baby shower. First, I had to locate the Welcome Witzy pan since it was no longer available. I found it on Ebay and had my husband purchase it for me. Secondly, the directions instructed on how to decorate using fondant, however, I decided to give it a try with buttercream. I decided to make it prior to the shower to see how it would turn out, how long it would take to do, and how many it would serve. After submitting a question to Lorelie regarding refrigeration and structure support, I gave it a whirl. I baked both cakes a week before I wanted to decorate them, crumb coated them, wrapped them in plastic wrap, and then refrigerated them for a week. The cakes did well in the refrigerator. The bottom layer is the 12x18" sheet cake. It was easy to decorate with the buttercream and turned out well, but the colors were not as deep as I had hoped. Then I decorated the Witzy cake. The design on Wilton website instructed the use of fondant to make a blanket through the middle of the duck, but I attempted to make it with buttercream. After I was done, I was not satisfied with the look of it, so I decided to make some changes. Once the cake was assembled and evaluated I cut it up to see how many people it would serve. I was surprised to find that I was able to get 35 large pieces out of the sheet cake. This shower had a large guest list so I was concerned as to how much cake I would need, but since I was able to get so many servings, I felt that would be enough along with the smaller character cake on top. I then divided the pieces up and gave it away to friends and family so it wasn't wasted. The baby shower was today (Sunday). I had baked the Witzy cake on the previous Monday, crumb coated a portion of it, wrapped it with plastic wrap, and refrigerated it. The I baked the sheet on Friday, crumb coated, wrapped in plastic wrap, and refrigerated. I made all of the buttercream frosting, tinted them, and put them in the refrigerator so that it would save me time on Saturday. I'm glad that I did make all the frosting on Friday because it still took 4 hours to decorate and assemble the final cake! Experimenting with the practice cake helped me to decide to fashion the duck the way the pan instructions indicated. So I made the duck all yellow through the middle, rather than making a blanket. I was happy to have the cake done and was satisfied with how it turned out. I placed it back in the refrigerator until I had to leave today for the shower. The cake still looked good when I removed it from the refrigerator, and it arrived safely to the shower. Everyone thought the cake was cute and said it tasted just as good.